Relate: Two question pop quiz: 1) When did Gideon’s ministry begin? 2) When did Gideon’s ministry end? The answers: 1) When he destroyed an idol and made an altar. 2) When he destroyed a town and made an idol. When God first sends an angel to meet with Gideon, what does that angel say? “Mighty hero, the Lord is with you!” To this greeting, what does Gideon respond? “I am the weakest of the weakest.” Gideon had an insecurity problem. He didn’t see himself the same way God saw him. The funny thing is, when you look at the evidence, it sure seems that everyone else saw Giden about the same way that God did. He sounds the trumpets for war and twenty-two thousand men heed his call. He sneaks into the enemy’s camp and two random soldiers know his name. The nine thousand plus sit out the battle at his order while the three hundred elites join him without question. Nobody else had the fleece, or the dream + interpretation to spur them on. They only had Gideon’s command. Yet it seemed enough. Finally, when he captures the kings Zeba and Zalmunna, Gideon asks them who they killed at Tabor. They respond, “Men like you. They had the noble bearing of princes.” Those were Gideon’s brothers. If these were good looking kids from a weak clan, why would they have bothered. Clearly Gideon’s family had influence. But self doubt and insecurity seldom have any bearing with reality. Over and over again God needed to reassure Gideon that they were in this together. That wasn’t because Gideon was humble. Insecurity often masquerades as humility. The dictionary defines humility as “not thinking yourself better than other people.” Let me add to this. Sometimes we get this idea in our mind that we are “better at being bad” or “better at doing worse” than other people. This is insecurity… and a form of pride. In my opinion, that’s why he made that golden ephod (a breastplate for priests) in the first place and why he did not stop others from turning it into an idol. React: Our insecurity will take us places we didn’t want to do. It will cause us to do things we do not want to do, and it will prevent us from doing things we should. Gideon was a leader. He was a mighty warrior. God saw this in him. Other people saw this in him. He even looked like someone meant to lead. But he saw himself as the least of the least. When he began to realize that the people were taking his memorial and turning it into an idol, he really had two choices: 1) Destroy the thing. This would have been the easier and better option. 2) Convince the people to stop. He could have used his God given leadership abilities to point people towards the Tabernacle and towards their God. Why didn’t he take either of these options? The Bible doesn’t say. Perhaps he had started worshipping it as well. Maybe he enjoyed people from all over Israel coming to visit. Most likely based on the evidence… he was afraid. He was afraid to rock the boat, afraid people would not listen, afraid that he didn’t really have as much influence as it seemed. Gideon’s insecurity, manifested as a golden ephod, was the trap that killed his ministry. Do we struggle with insecurity? How does it manifest itself in our lives? In what ways is it preventing God from using us as He desires? God, help me to recognize my that worth is only found in You. What I am is who You say I am. I don’t need to listen to others, I don’t need to listen to that critical voice in my head, and I certainly don’t need to listen to the enemy. You have said I am worth dying for. then You proved it. You love me. You desire my company. That is enough. Let it be enough. I pray that self-doubt and insecurity would have no hold in my life. 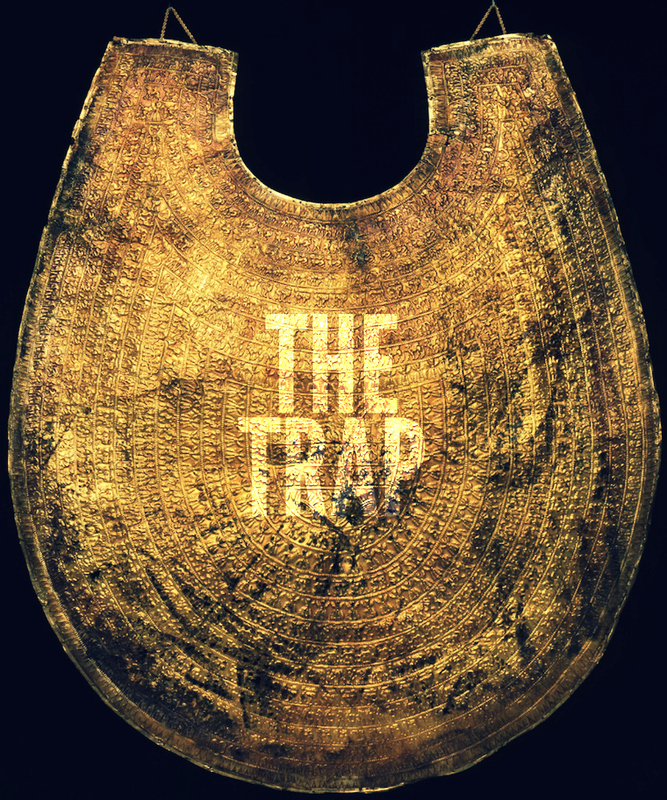 I pray that that trap would never ensnare me. You have made me righteous and called me Your child. I am free. I am Yours. Reblogged this on MaryAnn's World. This is a really good word. It reminds rd me that leaders are called to grow out of their weaknesses. God tried with Gideon but the man stayed stuck emotionally. Leaders can’t afford to let their work get in front of their spiritual growth. Good word. Gideon has always seemed a kind of oxymoron to me. Saying how week and worthless he was, he was even hiding in the threshing room when the angel came to talk to him, yet he behaved exactly like a “mighty warrior” just like God said. That’s why it is so important that we know what God says about us! I hope you don’t mind me sharing this one. That’s the thing I love about our Biblical heroes. We get to see them warts and all. It gives us hope that, even should we fail, we can be like them. We need to change the way we think about ourselves! I often wonder why we are so quick to believe man’s opinions of us, whether good or bad, but not God’s, the One who is our Creator and who knows us better than any human being ever could. Your post is great encouragement to Believe God!